Examples: "I'm personally opposed to abortion but I don't think it should be illegal." "I would never have an abortion but I think women should be able to decide for themselves." Abortion either takes the life of an innocent human being or it does not. It is either the worst holocaust in the history of man or it is a mere surgical procedure that has the same moral relevance as removing an appendix or a tumor. There is no gray here. There is no middle ground. This is black and white. We need to ask these people why they would never have an abortion. What's so wrong with abortion so you would never want one? The only reason to be personally opposed to abortion is because abortion takes the life of an innocent human being. No other reason makes very much sense. If abortion doesn't take the life of an innocent human being then it wouldn't really be morally problematic? People making these arguments, in some ways, recognize the humanity of the unborn. They recognize that abortion kills children but for some reason, be it society's permissiveness of abortion, a friend's personal experience or whatever, they think that killing unborn children should be legal. Opening their eyes to this logical inconsistency is what you need to do by taking the spin off their statements. They are focusing on the ability to make a choice instead of on what that choice does Their attention needs to be focused on what abortion does and what the choice to have an abortion does to the unborn. 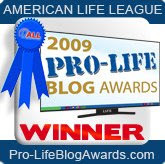 If they answer your question to why they are personally opposed to abortion with a statement like "because abortion kills children" you need to respond with a calm statement like "let me get this right, you personally oppose abortion because abortion kills children but you think that killing children should remain legal?" This will take the spin off their rhetoric and force them to either acknowledge that they think it is okay to kill children and they should be opposed to abortion or recognize that their position doesn't make a whole lot of sense. I'm pro-life, but this is weak. The person who takes the "personally opposed but keep it legal" position would just need to say that she's not opposed due to the status of a fetus but rather the potential to have a child or not wanting to go through the medical procedure or the possible psychological consequences, etc. It is true that some hold this position inconsistently, but necessarily so. Safe and Effective or Unsafe and Ineffective? Third time a charm with Pastor Boyd? "I'm Gonna be a Famous Singer Someday"
How on Earth am I a top #1000 blogger? Are Fetuses part of a woman?